Pack a picnic to have atop Castle Hill. If this isn't your thing, then there are plenty of restaurants in the main part of town. Slottsfjellsmuseet has limited opening in the winter, and in summer is closed one day a week. Be sure to check the website before you go. Pack your own lunch. Norway is an expensive country so it's worthwhile to save where you can. 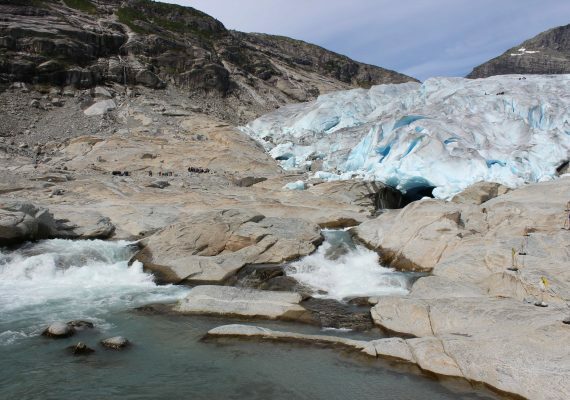 Heading to Norway with kids? 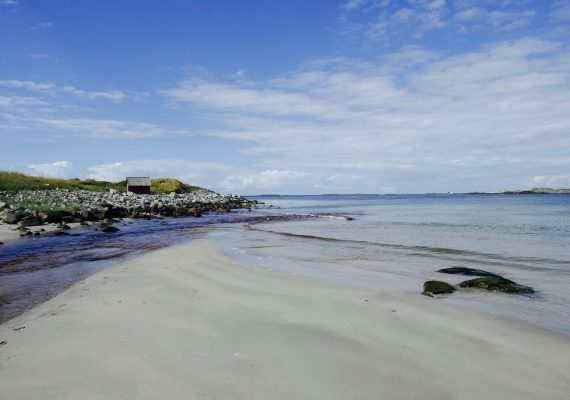 Enjoy this Viking adventure day trip in Tønsberg; excellent views, a castle, great food, museums and a Viking ship await. Tønsberg is the oldest city in Norway, and has plenty of character to show for it. Apart from being a beautiful place to visit, it also boasts plenty of history: of Kings, Queens and Vikings. This adventure offers a tour of the best parts of the city. And, if your family has an interest in Vikings then this is a real treat. The day starts off with a stroll along the Brygga, a stunning harbourside walk with a re-creation of a Viking ship along the way. Next stop is lunch at the top of Slottsfjell. This impressive hill, which towers above Tønsberg, has its very own castle plus plenty of space to run and roam. A visit to the Slottsfjellsmuseet ends the day well. Here, discover plenty of Norwegian history, ruins of an ancient Viking ship and a whole hall dedicated to whale bones. 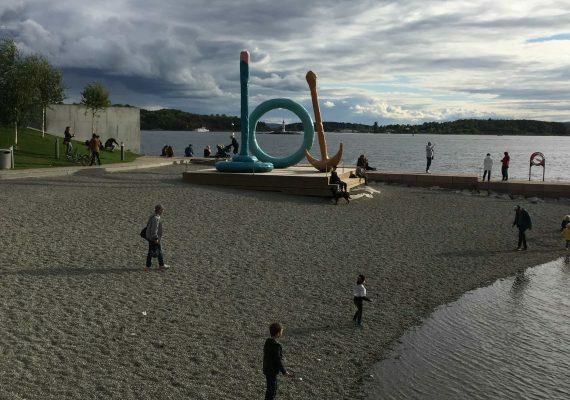 Tønsberg is a wonderful Norwegian town to explore and a great place for all ages to enjoy. Tønsberg is a charming city with lots of Viking history. It even has it's own Viking festival in September. "Brygga" means pier, and the walk along the Brygga is a really beautiful way to head into town. Your first stop must be to look at the Saga Oseberg. 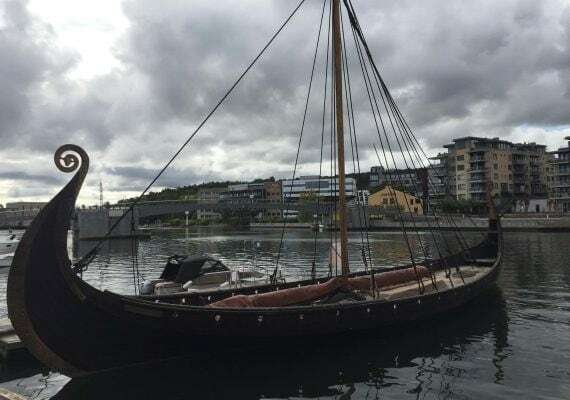 It's a modern day re-creation of the Oseberg viking ship in the harbour (the most important Viking ship found to date, just outside of Tønsberg). If you visit soon, you might still catch another re-creation in progress, a rebuilding of the Klåstad viking ship. After you've enjoyed these little tastes of Viking history, continue your walk north along the Brygga, heading toward Slottsfjell. Time permitting, head into the town to explore a bit. There is some nice shopping around as well as plenty of places to get a proper Norwegian coffee (or hot chocolate). DIRECTIONS The best place to start your day is on Ollebukta 3, near the Quality Hotel Tønsberg. TIP The Brygga is by the water, so take care with small children. There is a good little playground on the way to Slottsfjell for any little ones that need some play. Castle Rock Tower is an impressive structure atop Slottsfjell, the imposing hill above Tønsberg. The tower is relatively new, built in 1888 as a memorial to the cities thousand-year anniversary. The hill is also home to the ruins of an ancient Middle Ages castle, and the setting for many important events in Norwegian history. Our little ones loved climbing up and down the ruins, and it was a great place to inspire some medieval-themed play. Slottsfjell is also a good place to have lunch. There are wonderful views across Tønsberg and its harbour, plus plenty of space to run around safely, making it a perfect picnic spot. DIRECTIONS At the end of the Brygga walk, turn in to the city centre to reach Slottsfjell and Castle Rock Tower. Look out for Kongegaten and turn right. Continue along until the road turns into Nedre Slottsgate, then turn left. Continue along until you come to a walking track, head straight up and you'll be there. TIP Norway is a cold country, and even in summer it may be cold up on the hill. Be sure to bring a jacket in case of cooler weather. Please note, there are no facilities atop the hill, so be sure to bring your own food if you plan on stopping for lunch here, and use the bathroom before you go. Slottsfjellsmuseet is the place to go if you want to learn about the history of Tønsberg city. It has an excellent exhibition on Norway's rulers and civil wars. But the real highlight of the museum is the ruins of the Klåstad Viking ship on display, discovered just outside of Tønsberg. The Hvalhallen (Whale Hall) was a huge hit with our kids, and we were all amazed at the enormity of the whale bones on display. The Slottsfjellsmuseet also has some great interactive activities for kids. They can dress up in royal attire, there's a huge magnetic cityscape, building blocks and a place to practice ancient Norwegian lettering. A visit to this museum is a great way to end this day of exploring. DIRECTIONS From Castle Rock Tower head west down the hill till you get to Peder Lagmanns Gate. Follow this road until you reach Farmannsveien and turn left. Continue along Farmannsveien until you spot the museum on your left.